How do I book my package? What is the travel time between courses? Travel time from the Sweetgrass Golf Club in Harris to TimberStone Golf Course in Iron Mountain is approximately 44 miles. Travel time to Greywalls Golf Couse in Marquette is approximately 78 miles when traveling from either Sweetgrass or TimberStone. Where will my accommodations be for the package? 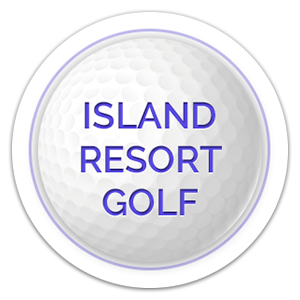 Accommodations for our Perfect 4-Some golf packages are booked through the Island Resort & Casino and based on availability. What are the accommodations like at the Island Resort & Casino? The Island Resort & Casino offers 300 well-appointed, spacious guest rooms. Guests 18 years of age and older, will receive one complimentary gaming package per night which includes: $5 promo cash, $5 bingo coupon, $5 meal coupon, $5 drink coupon & $5 off spa service. Limit 1 package per person per day with a maximum of 2 guests per room. Can my spouse ride along as a “spectator”? Spouses are permitted to ride-along for a nominal fee at all three courses. Please note that there is a two-cart maximum per foursome. Check day of play for availability. The courses can be as difficult as you make them. For the most enjoyable experience, we highly recommend choosing the tee box appropriate to your handicap. Is there food and beverage service on each course? All three courses offer on-course food and beverage service as well as a full-service restaurant/lounge for after your round. When are tee times scheduled? Tee times are scheduled during the booking process. The host/hostess assisting you with your stay and play reservation will arrange your tee times at your respective courses. Are replay rates available at all three courses? Based upon availability, all three courses offer same-day replay rates. Our stay and play packages are completely customizable! From the number of nights lodging to the number of rounds of golf… It’s all up to you!